Make your way to or from the airport in style on the backseat of a limousine. These vehicles represent luxury at its finest. The sleek lines on the outside and the luxurious plush interior encourage relaxation after a long trip. If you cannot afford your own limousine, you can rent one to get to and from the airport. Demands for rentals have increased over the years as more and more people come to recognize just how affordable it is to rent a limo. The service will cost a bit more than renting a taxi or town car, but the extras you’ll get more than makes up for the additional cost. Airport limo runs cost surprisingly less than renting a limo for a night out. You just have to specify what you want to the service to get the best price. That said, as with anything else, you’ll always get what you pay for. Research your options before you actually choose a service. The company with the best price may not always be the best value. So compare the price but also compare the extras because the lower price could cost you more in the long run. Here are some other things to keep in mind when looking for an airport limousine. You’re short on time and need a limo fast. What do you do? Pick up the phone and call the first number you come across in the directory. The price seems reasonable, so you book the service then and there. 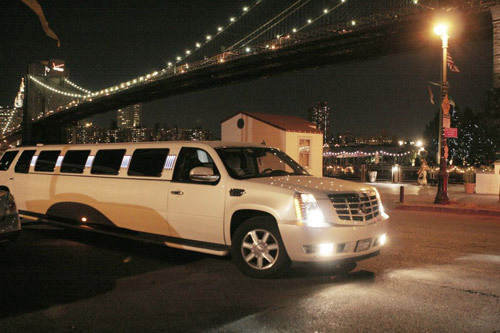 While this might seem convenient, and you’ll certainly save time it’s not the best way to book a limousine service. Call around to the other services or ask around for references. Only then would you know if you’re getting real value. If you’re getting the bare minimum, a little music and cool breeze, on your ride you might as well call a taxi. Ask about the amenities provided with the limo. Some services might charge for extras but since you’re splurging you might as well get the full benefit of the ride. Ask about HD TV and cable reception, mini bars, surround sound, Xbox, Wi-Fi, champagne and whatever else you feel will make your trip a memorable one. If you know your limos, you’ll know that they come in varies models, shapes and sizes. Don’t hesitate to ask the service for what you want. But even more important than the size or shape of the limo is the condition of the vehicle. Just because you’re paying less for an airport run, doesn’t mean that you should be forced to make do with an unkempt, out of shape vehicle. The limo should be in excellent shape and in good working order. A break down on the way to airport will definitely spoil your experience. Some other things you should expect from your airport limo include punctuality and insurance in case something goes wrong. Jake has written this article for peterborough limo services offering limo rentals for various occassions.